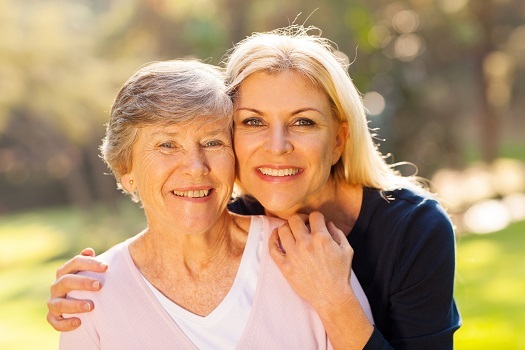 Your senior loved one may need to move to be closer to family or just to lower the amount of responsibilities he or she must contend with in a day. Either way, a move is a major life change, and you need to consider these seven things to make sure everything works out in your loved one’s favor. Your loved one’s choice of a new home impacts his or her overall health and happiness. Make sure the new home is near enough to a fire department, hospital, and police department so your loved one receives prompt care in a serious situation. You may also want to make sure your loved one’s new house is near a medical facility. Seniors often relocate for the purpose of downsizing. However, there should still be enough room in the home for both your loved one and a caregiver to be comfortable. You may also want to take measurements of the rooms in the new home to assist with deciding which pieces of furniture need to be moved or donated. Every house has a different floor layout, design, and other features that impact safety. Take a walk around the house to look for potential hazards such as stairs or slippery flooring, then make plans to correct these issues. For instance, nonskid mats in the kitchen and bathroom can prevent slip-and-fall accidents. Older adults who currently require assistance at home may need to have their care plans altered to include new caregivers. Home care agencies can help you find someone who works in your loved one’s new hometown so he or she benefits from continuity of care. If your loved one hasn’t received assistance in the past, now is a good time to start. There are many factors to bear in mind when you’re thinking of hiring a professional caregiver for your loved one. When considering home care, Clarksville, TN, families should make sure their senior loved ones have the resources they need to maintain their independence and remain healthy. Trusted in-home care professionals can assist seniors with daily tasks like cooking, bathing, and exercise, and they can also encourage them to focus on healthier lifestyle habits. Relocating often means leaving friends and neighbors behind. Help your loved one avoid becoming isolated by making it a point to make new connections. Offer to go with your loved one to introduce him or her to the neighbors, and make sure he or she has transportation to senior-friendly community events. A social network is especially important if your loved one is moving farther away from you or another family member who usually takes care of some of his or her tasks of daily life. Living independently is important for seniors who want to maintain a high quality of life. For some, this simply means receiving help with tasks that have become more challenging to manage over time. Even when families have the best intentions, they may not have the time to provide the care their elderly loved ones need and deserve. If your loved one needs help for a few hours a day or a few days a week, reach out to Home Care Assistance, a trusted provider of respite care Clarksville seniors can depend on. Your loved one needs to know what to do if an emergency occurs. Show your loved one where the gas and water shutoff valves are at the new residence, develop a fire exit plan that includes at least two safe and accessible ways to leave the home, then write down a list of names and phone numbers for people your loved one can call anytime for help. It takes time to adjust to living in a new area, and your loved one may have new needs that arise over the next several weeks. Once your loved one is established in the new home, check in regularly. This way, you can quickly alter any arrangements to continue to maintain your loved one’s wellbeing. If your loved one is moving, this might be a good time to plan ahead for the possibility that he or she may need some help living at home in the golden years. It’s best to do the research now so you’ll have a strategy if assistance is needed in the future. When searching for reliable Clarksville senior home care agencies, families want to know their senior loved one will be well taken care of. At Home Care Assistance, our expertly trained caregivers are available around the clock to assist with tasks around the house, provide transportation to medical appointments and social events, and much more. If your loved one needs professional care, Home Care Assistance is here to help. Call one of our Care Managers today at (931) 444-1950.